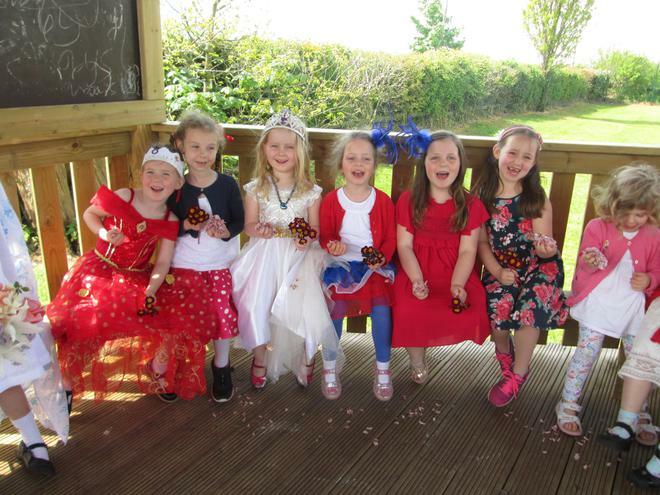 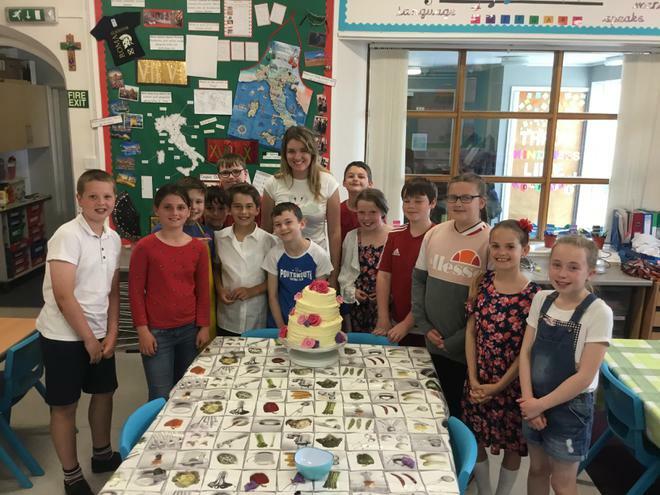 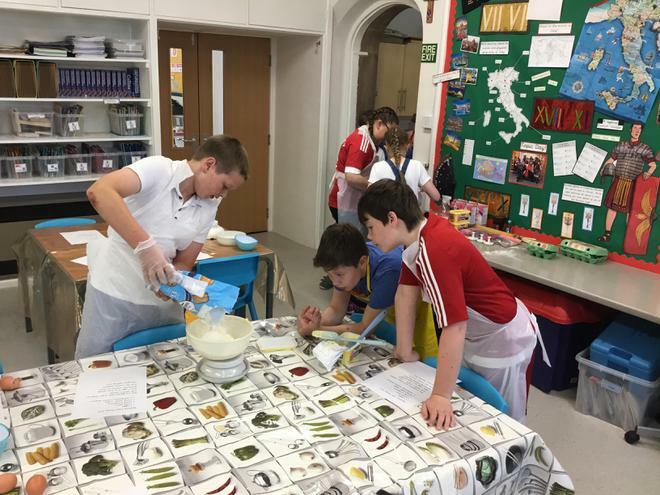 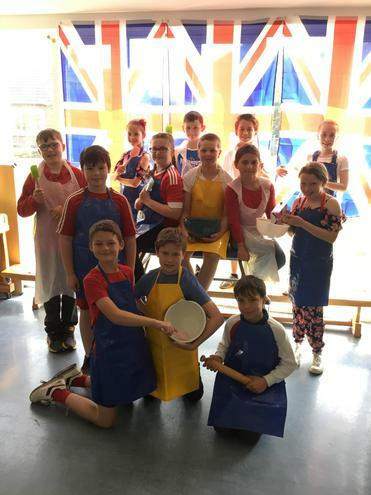 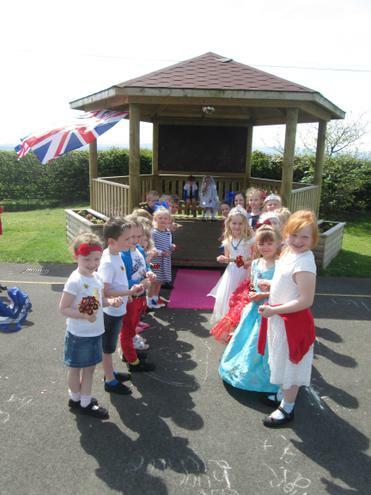 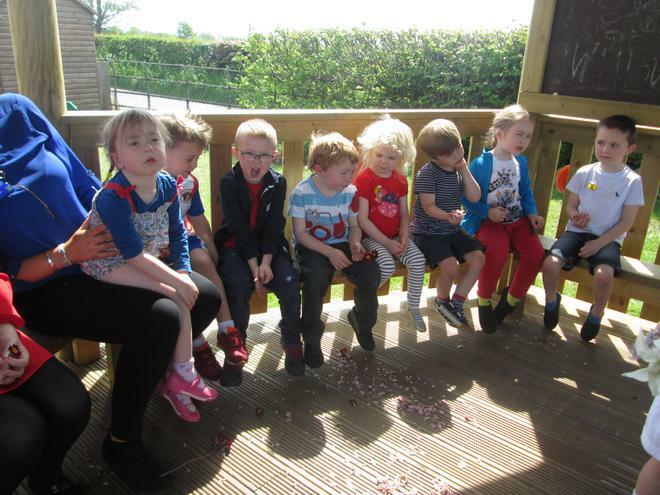 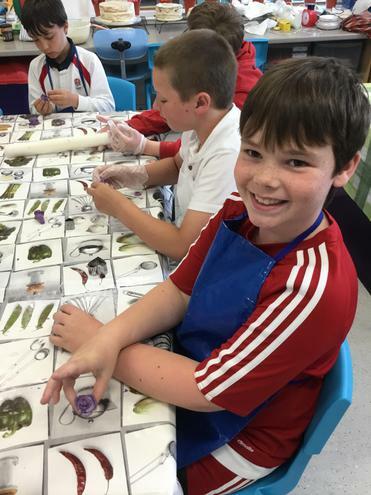 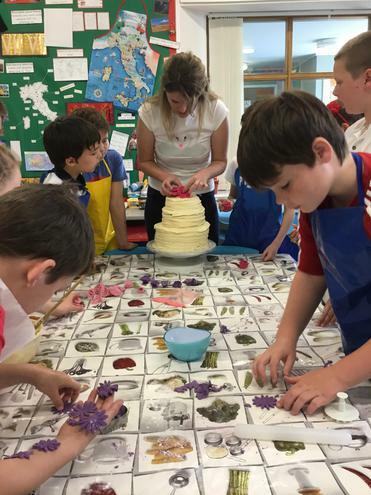 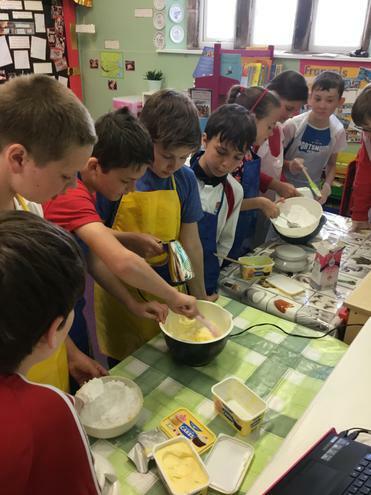 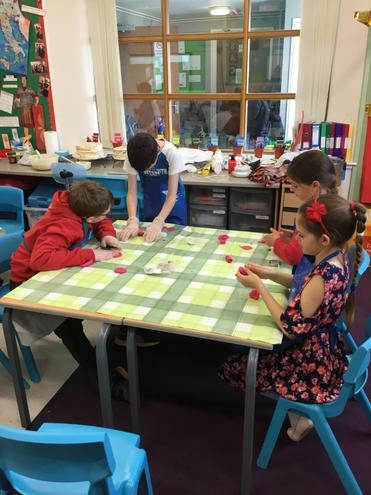 We celebrated the royal wedding Wiggonby style! 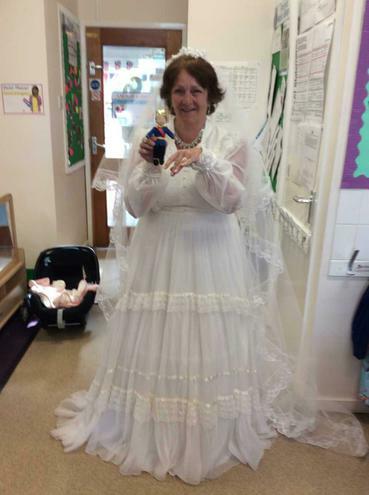 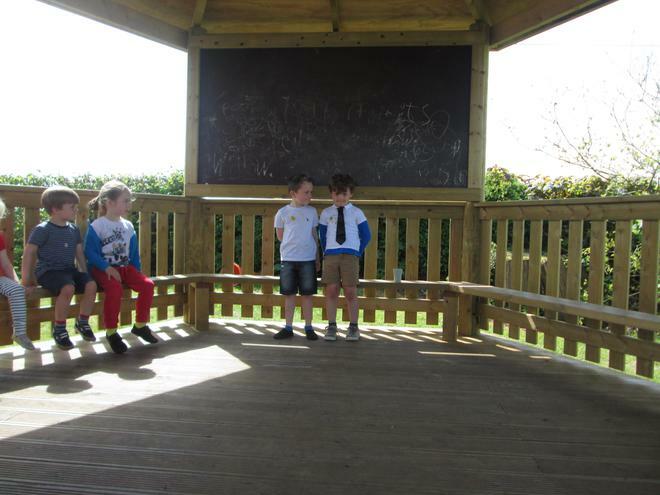 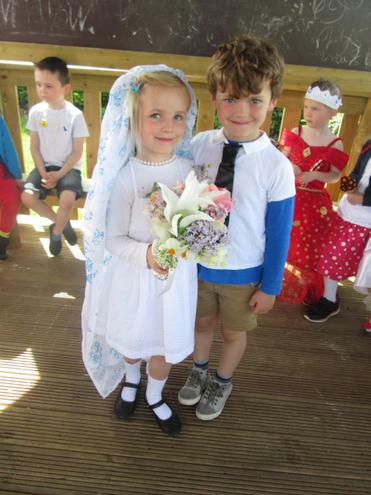 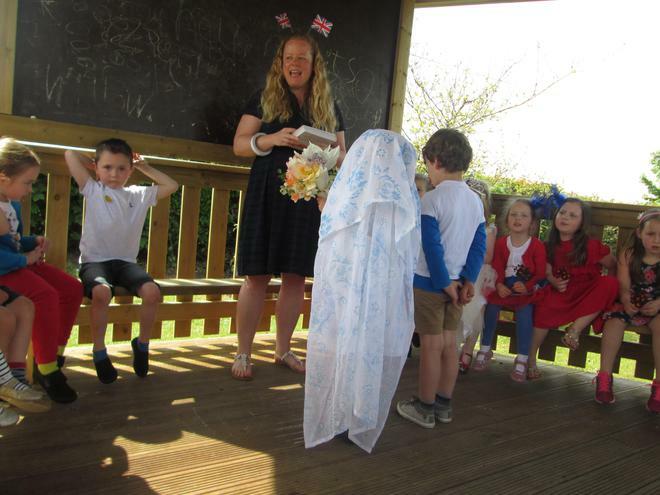 Today class 1 had a 'Royal Wedding'. 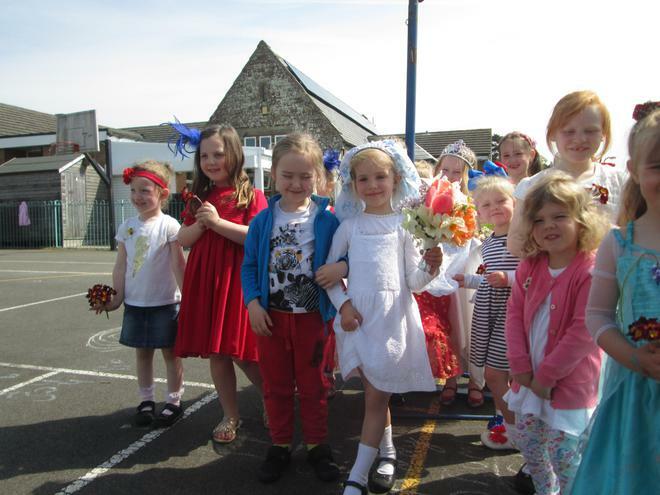 We had Father of the Bride, Harry, Meghan, best man, and there were many bridesmaids and guests. 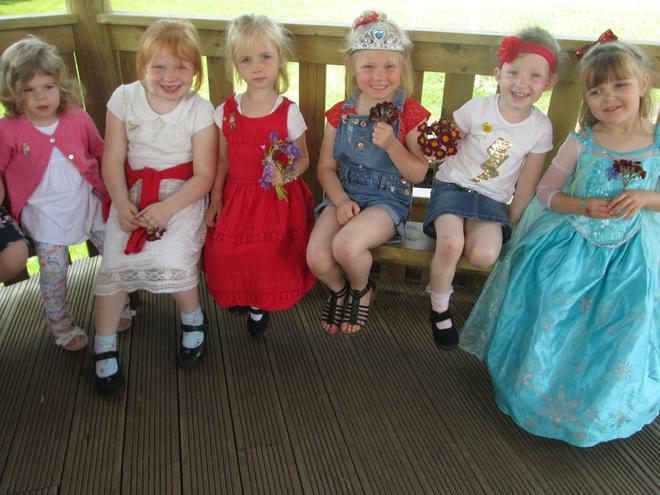 We made our corsages using fresh flowers. 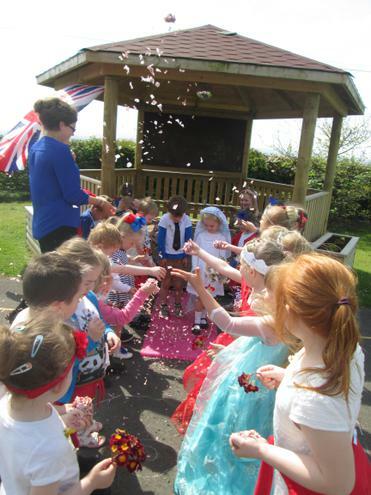 We used petal confetti from all of the blossom that had fallen from the trees. 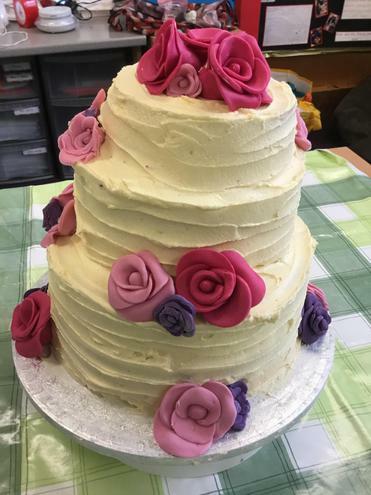 We designed and made a wedding cake in a day! 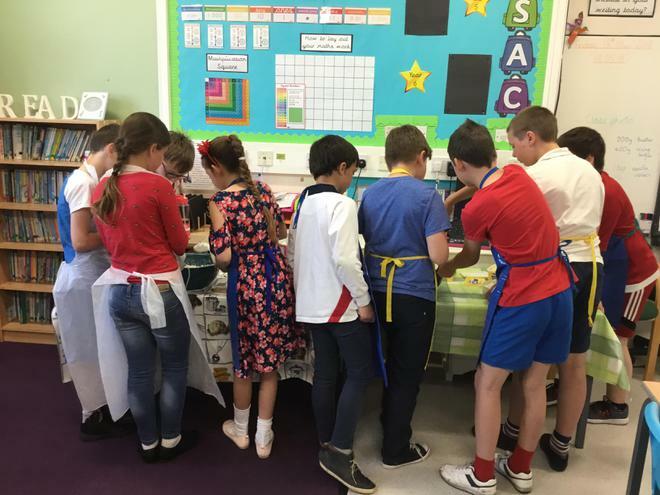 We made cucumber sandwiches and a chococlate biscuit cake. 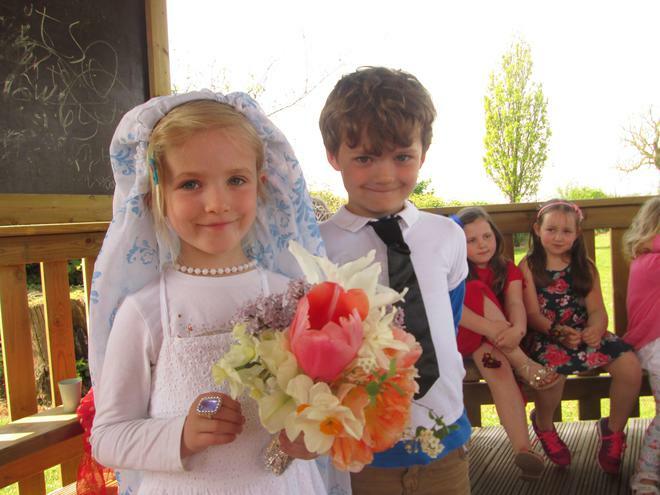 We had a wedding picnic and some lovely chocolates. 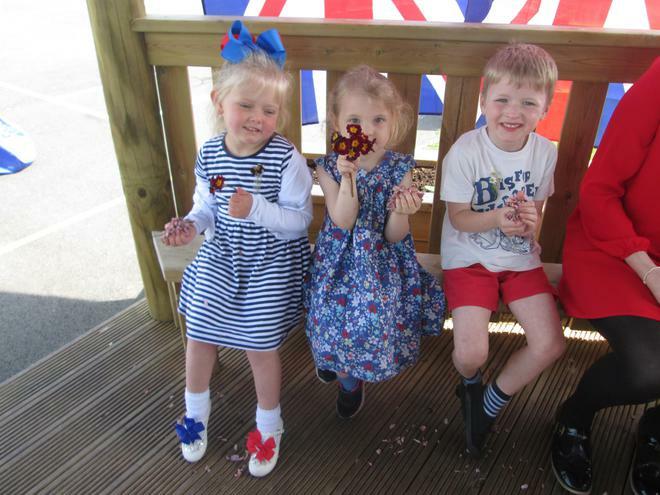 We wrote instructions, made bunting and iced biscuits.